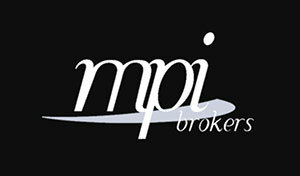 We introduce you to MPI Brokers, who we work with to provide the level of cover we expect in a good Insurance policy at competitive prices. If you have a pre-existing medical condition you would like cover for, or are between 80 and 90 years old, please look at MPI Don’t Stop Me Now details below. Other Watersports Activities – scuba diving, windsurfing, waterskiing etc. Many people travel abroad with inadequate cover, if any at all… …don’t be one of them! Covering people with pre-existing medical conditions for any age up to 90 years. A key feature is that the same policy wording carries through from MPI’s main travel insurance schemes. Cold Fusion Chalets Ltd is an Introducer of Michael Pettifer Insurance Brokers Limited t/as MPI Brokers, who are Authorised and Regulated by the Financial Services Authority. Cold Fusion Chalets Ltd. do not advise on MPI Insurance Products.